We live in an unusually happy home. I don’t talk about this much, and I certainly don’t show it much either. I can’t hide my difficulties of course, but I see no point in continually complaining or pointing it out either. I’ve learned to live through shame, pain, fear and even terror with a genuine smile. I’ve learned to truly be grateful for each moment I am given on this ball of gasses and rock we call Earth. Our son isn’t exposed to the sadness or heaviness that one might expect to find given my/our situation. We live (almost) as if this doesn’t exist, we don’t give it the power. We don’t make an issue out of what’s happened to me, it just is – and we let it be. We live without drama and instead live with love and genuine joy as best we can. That’s what makes this even more special to me. I am not sad around him. He made this book not to cheer daddy up but instead out of pure love and joy. He worked hard on it too. I’ve come to realize I still have so much shame over the things I cannot do. Especially over the mental challenges I now have, that makes me feel defective (if I let it). This is part of the everyday “fight” I speak of. 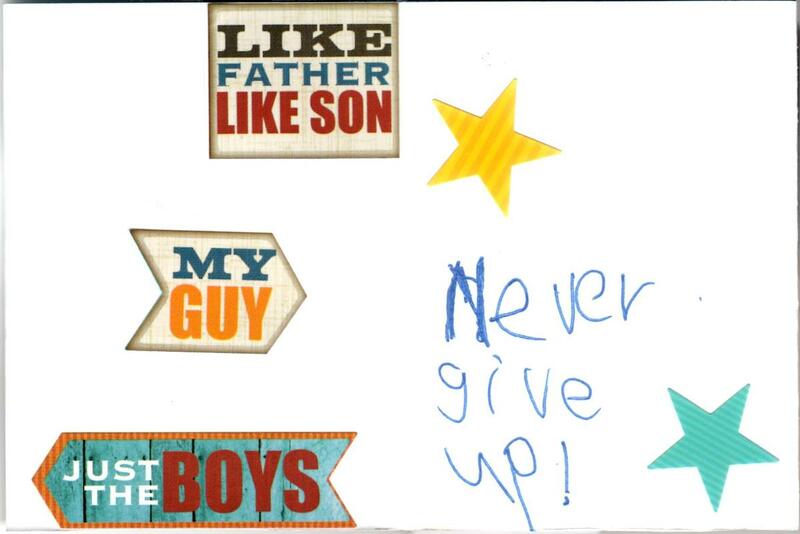 And as a father, I want to give my son so much more. Any father out there can feel my pain here, right? But I also realize that any energy I spend on emotions that do not serve me is wasted energy. And I literally cannot afford to waste energy. Not only that, but I cannot let my son see Daddy that way. It will teach him the wrong things. I’ve learned to pull myself out of negative states reasonably quickly, you must do the same. I am not here to tell you this doesn’t happen to me, or that somehow I’m super-strong. I’m human too you know. But I fight, and so must you. I’ve told some of you before that your children will learn from your journey through osmosis. What you show them counts, more than we know. But words are one thing… When Aedan gave me this book I was overwhelmed and I couldn’t help but cry. 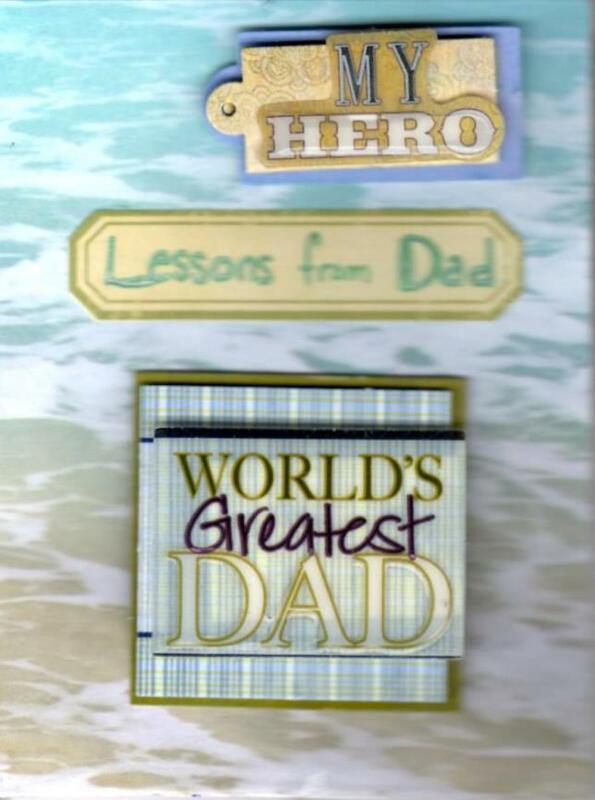 This is a book of what my son has learned by watching how his Daddy fights with his head up. Yes, there’s a lot of things I cannot do – even mentally. Yes, he sees me struggle with simple tasks and he sees me fall down a lot, and that really wears on me. But this book proves the impact of seeing me get back up. Every time, every day. I’m here to share with you whatever I can in hopes you can take something away from my journey. My brain is slowing and I’m getting more confused, if I don’t post this now I might never. I pray I make sense.